Seated astride her motorcycle is 75-year-old Molly Pendleton, of Arundel Place, Brighton. 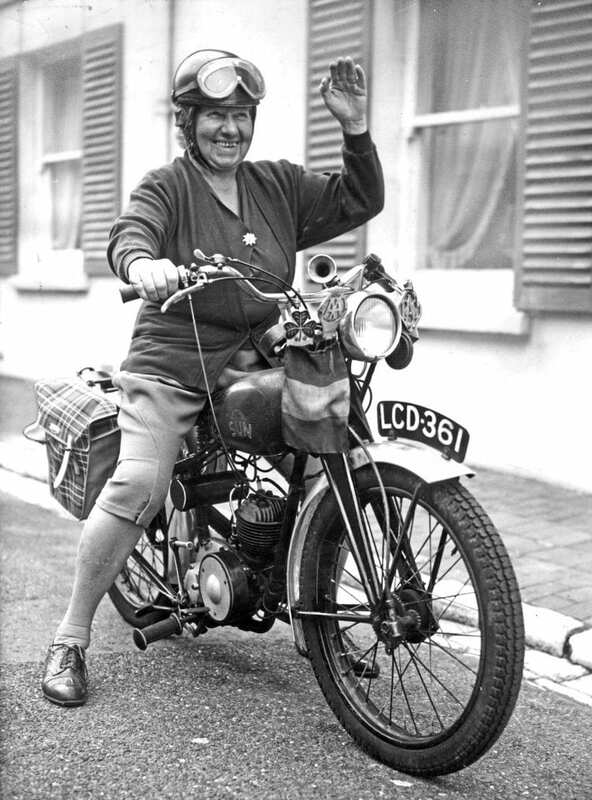 The grandmother of four apparently “thinks nothing of a 200-mile ride on her motorcycle rounded off by some high-dives in the nearest swimming pool”. The picture was published in The Motor Cycle of September 1, 1960, by which time Molly’s Sun was several years old.